Cynthia Koppe is a New York based dancer. Born in Singapore, she holds a BA from Cornell University in Sociology and Dance. She has worked with Liz Santoro and Pierre Godard since 2008 and continues to work with their Paris-based company, Le Principe d’Incertitude. Cynthia was a member of Shen Wei Dance Arts from 2009-2016, helping to originate roles as well as performing repertory. She has also worked with Ellis Wood, Bill Young, Ryan McNamara, Sam Roeck, Adam Weinert and Christopher Williams, and was a reperformer in Marina Abramovic’s 2010 MoMA Retrospective. In addition to dancing, Cynthia teaches embodied movement through Pilates and Yoga. In their first artistic collaboration, mother Liz Phillips and daughter Heidi Howard present a multimedia mural and sound work. 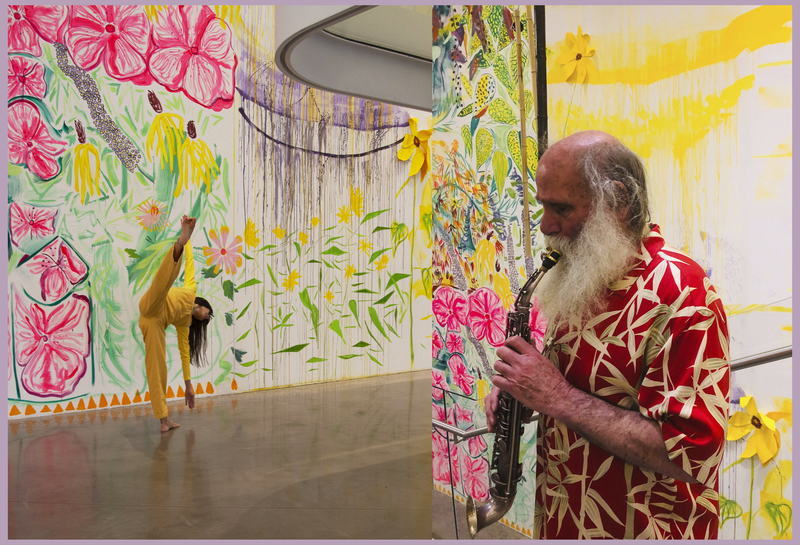 Howard, a painter, depicts Phillips, a sound artist, in her Sunnyside, Queens garden with fantastical flora that bridge representation and abstraction and transition through the seasons: spring on the left to winter on the right. In spring is Howard’s self-portrait, gazing into an ornate mirror. In fall, Howard painted a yellow floral scarf owned by her late grandmother Geraldine Phillips. 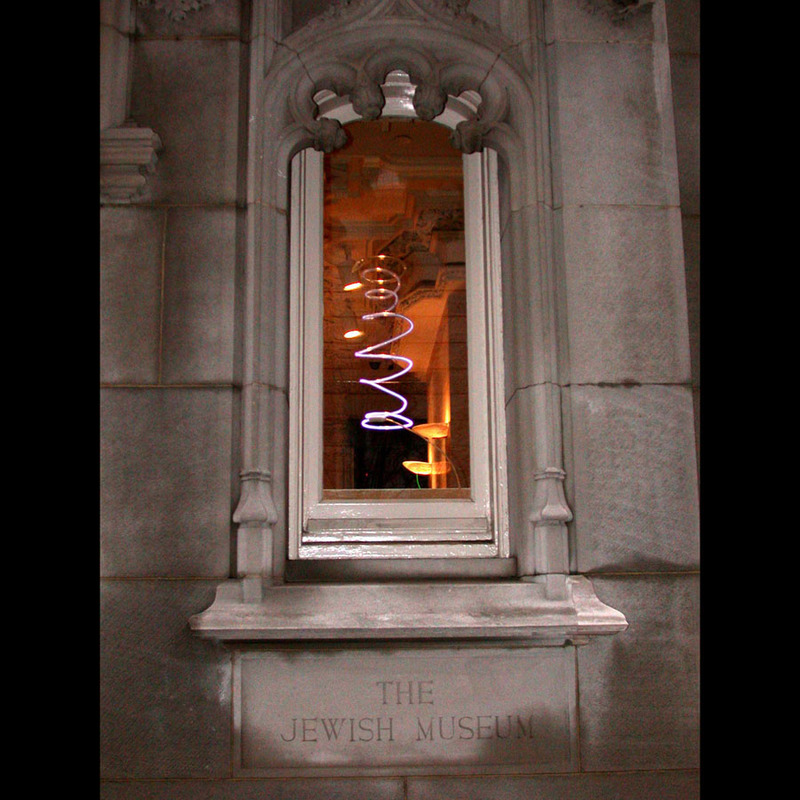 As part of her long-time work in interactive sound installation, Phillips has created sound fields using wave transmissions. Here, sculptural elements including ceramics made by Howard, bamboo, and birch veneer have become speakers through contact with a transducer, which converts electrical signals into tactile sound. They play Phillips’ continuously modulating composition–some of which was recorded in her garden–of seasonal wildlife, water, leaves, and city noises. 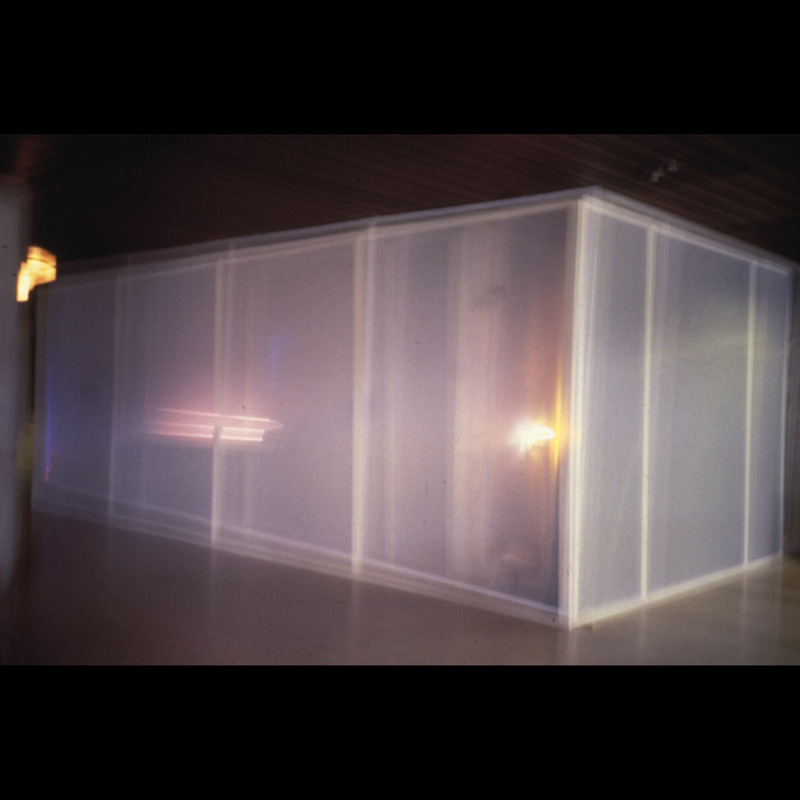 With the use of sensors, these sounds respond to the passage of sunlight across the wall. Both the mural and the audio become increasingly abstracted in the winter section, where shard-like strips of mirror film are paired with distorted sounds of ice melting and people sorting cans and bottles. Visitors are invited to sit in three garden chairs previously owned by Geraldine. Also functioning as speakers, they vibrate with river sounds, in homage to her lifelong affinity for water. 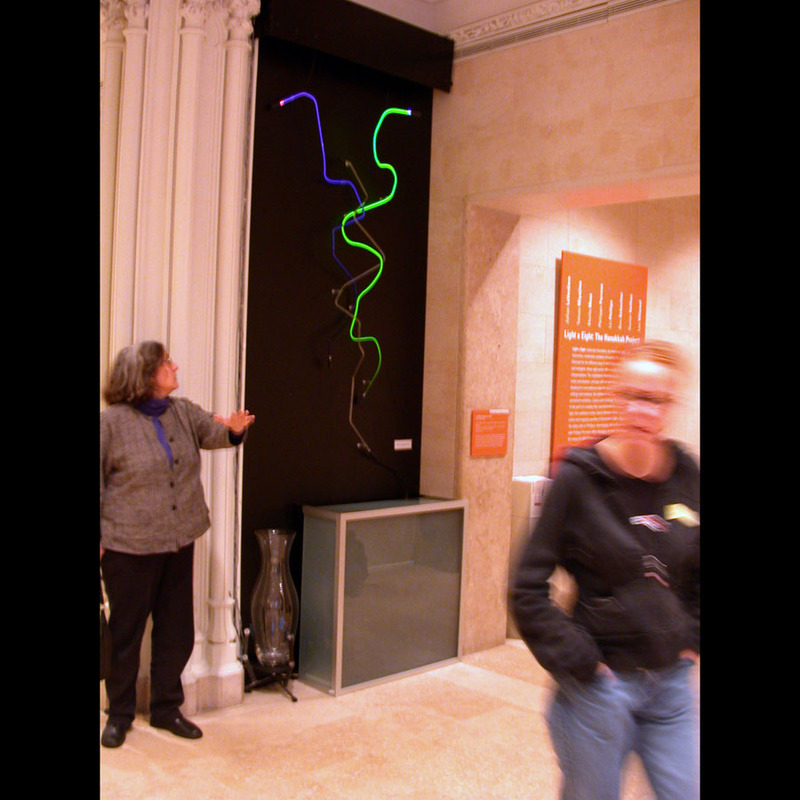 This is an excerpt on a video from my exhibition at the Kitchen in NYC.This interactive installation uses custom designed neon tubes . Ultrasonic rangefinders pick up audience position and motion. Light flows and shifts color with motion and stillness of audience. Sound samples morph and locate in space. Sounds are made from samples of spinning objects and digital sound and signal processing. 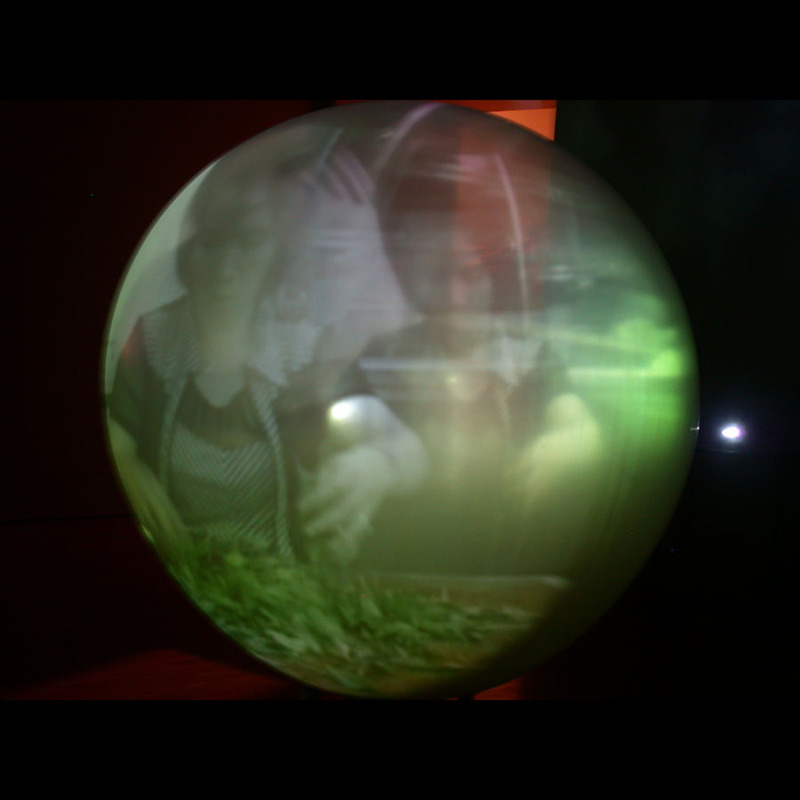 This is a prologue to the interactive installation of the same name presented by Creative Time at the Anchorage in the summer of 2001. It was part of the last show, Massless Medium, permitted in that amazing space under the Brooklyn Bridge. In only a month or two 9.11 would end all that. This is the story behind the project, as told by Liz Phillips, one of the pioneers of interactive sound art. 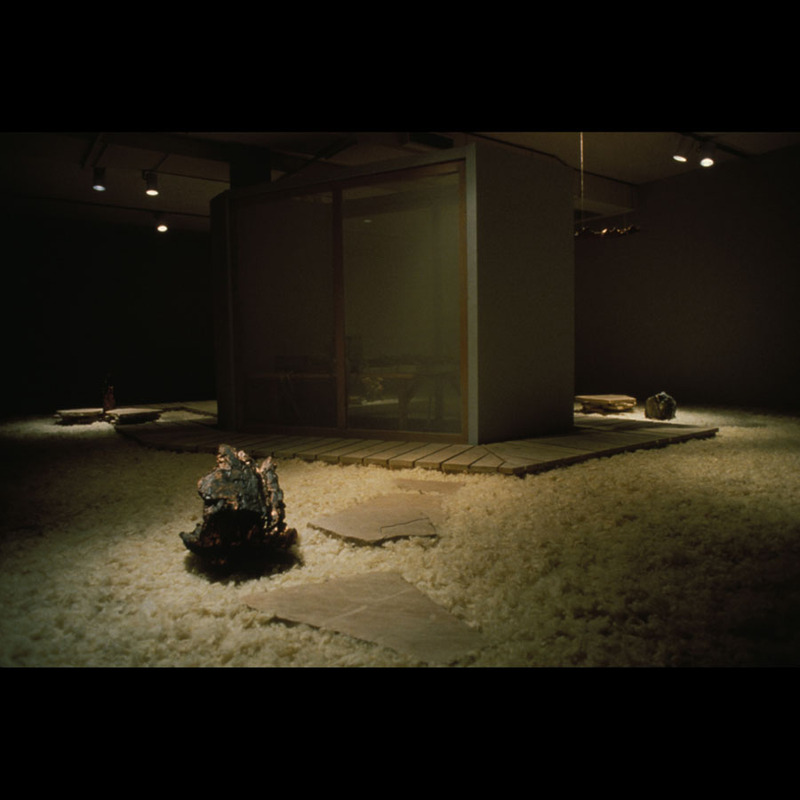 An interactive light and sound installation using capacitance and ultrasonics to pick up audience motion and respond with sound events radiated from highly directional homemade loudspeakers (the bowl, vase, horns on the ceiling and in boxes. This interactive sound installation uses sensors to locate fish (light) and audience (ultrasonic) and feedback sound and light structures. The idea for this work is taken from a childhood experience of ice skating on a pond filled with swimming carp. 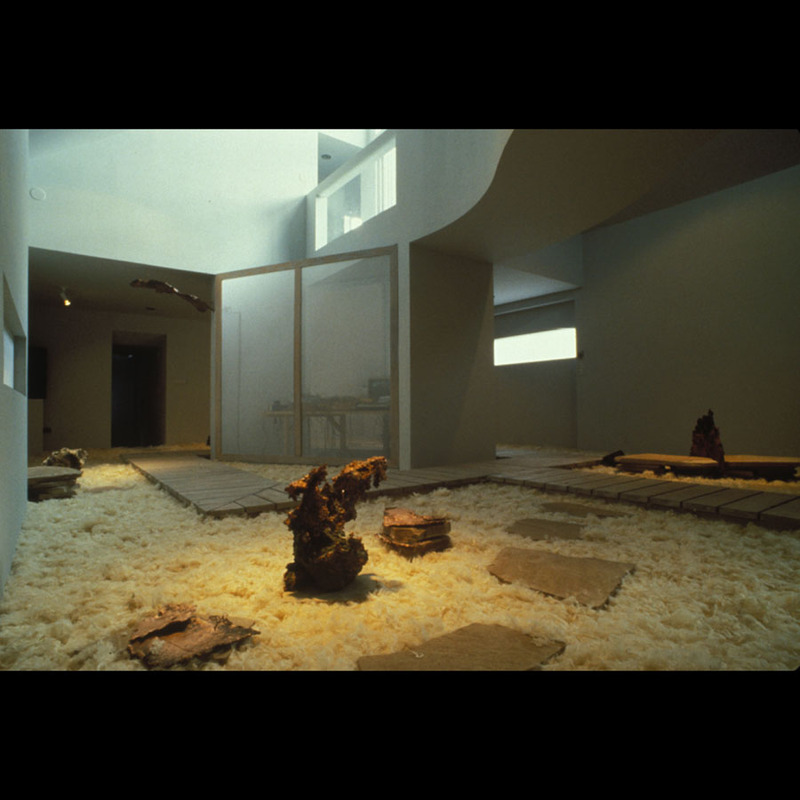 A dry rock garden with natural copper conductors radiating fields, Sounds shift and distribute themselves time-sharing and orienting themselves to the presence and activity of the viewers. 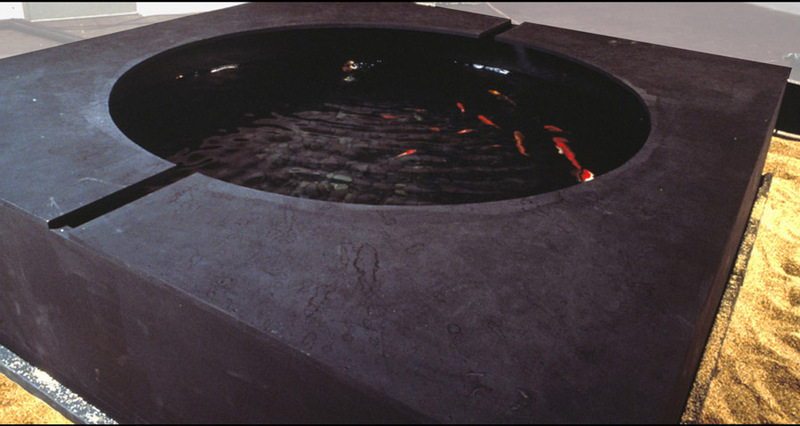 Fish and audience activated environment with a pool of koi and sand paths for audience observation and interaction. Two ultrasonic systems are used to sense the fish and the audience. 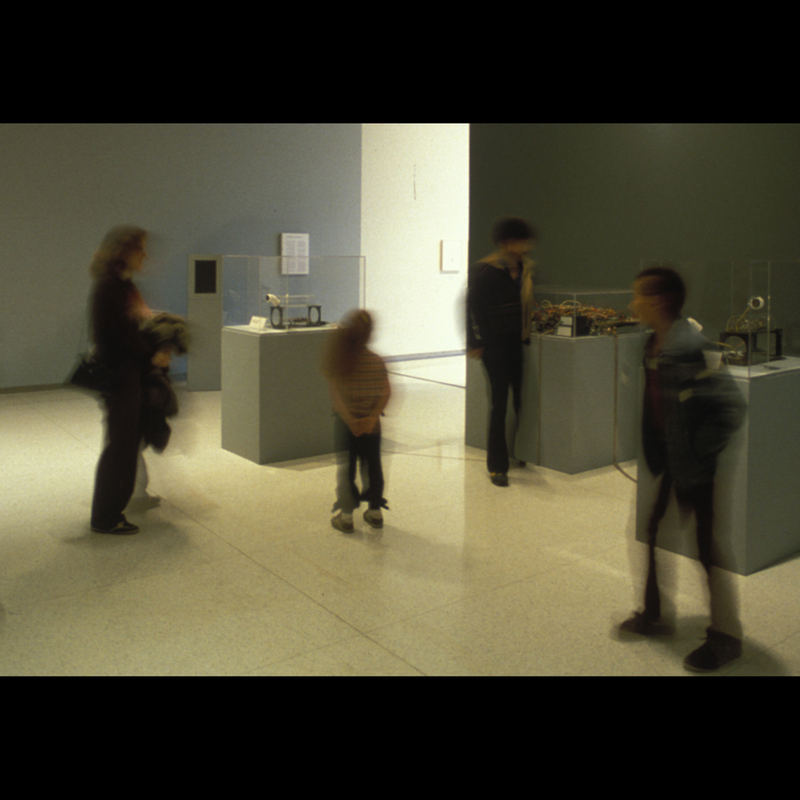 Sound Syzygy was part of an installation commissioned by the Walker Art Center for John Cage’s 60th birthday. It uses three ultrasonic range finders to locate and feeds back a quadraphonic synthesized soundscape. 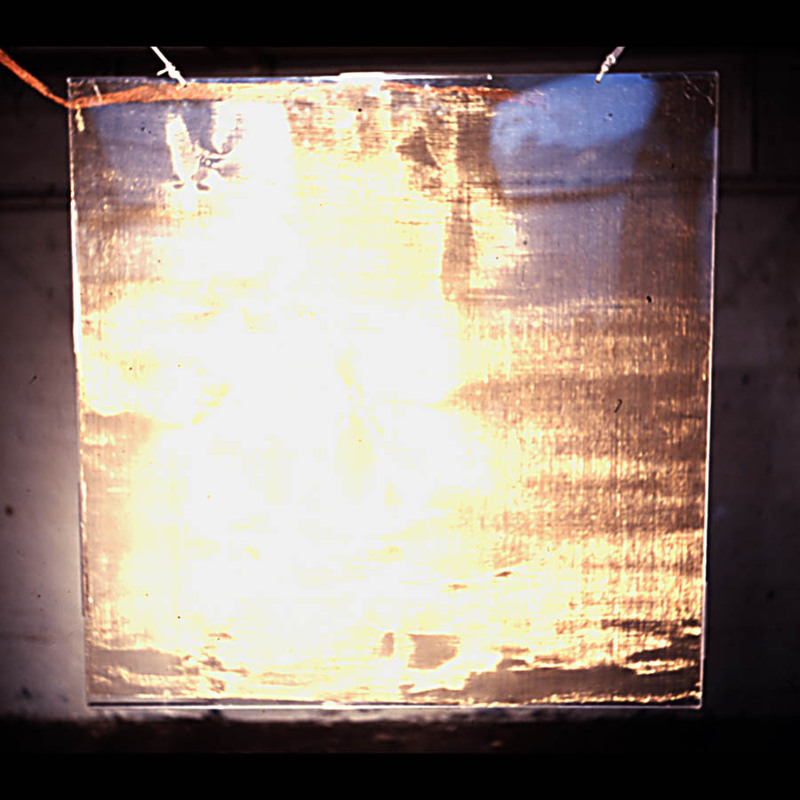 Sunspots is a site-specific sound installation that is tuned to the room in which it’s heard. 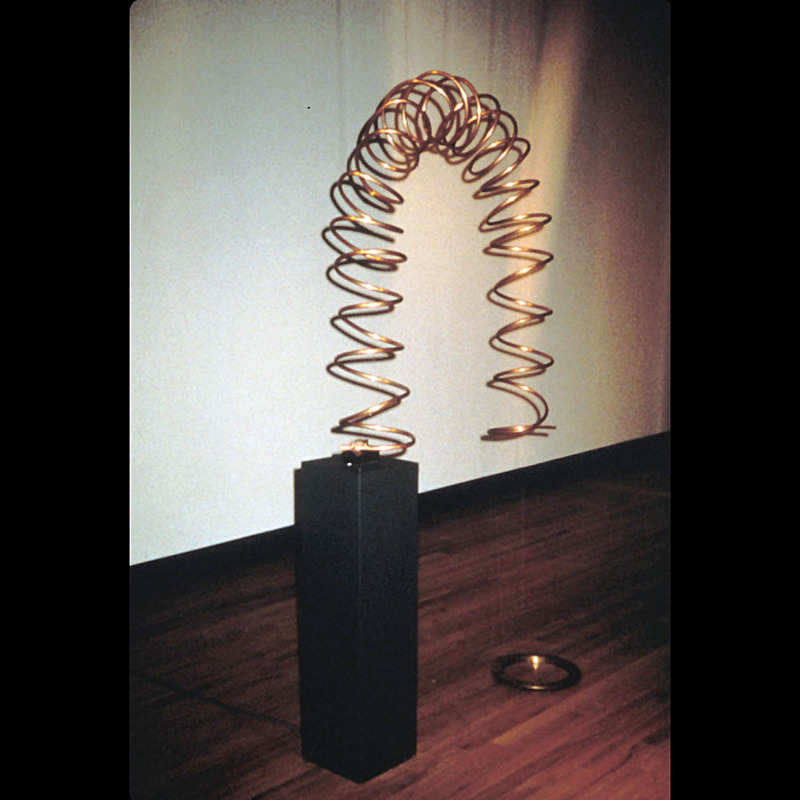 Audience presence and nearness to a copper coiled arch and suspended brass screen determine the combination of sounds.